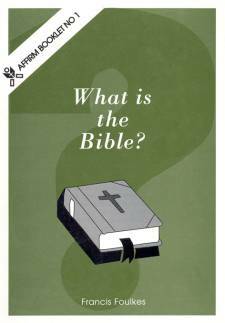 The first booklet in the Affirm series. This booklet is an easy-to-read investigation into the best selling book of all time - the Bible. Francis Foulkes describes how the Bible came to be written, its impact on individuals and the Church, and its relevance today.